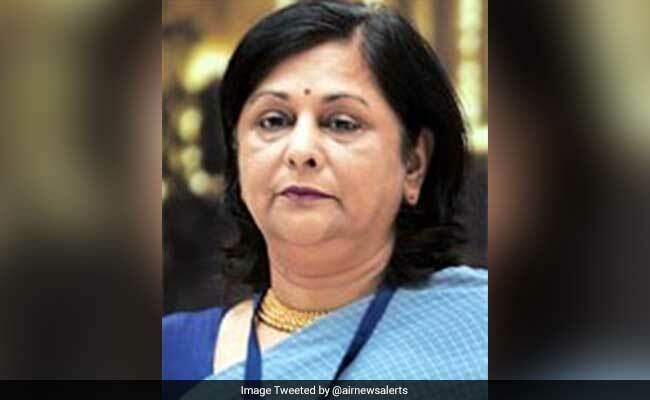 NEW DELHI: Former IAS officer Alka Sirohi has been appointed chairman of Union Public Service Commission (UPSC), in place of Deepak Gupta who demits office on Tuesday. President Pranab Mukherjee has appointed Ms Sirohi to perform the duties of the post of the chairman, UPSC, with effect from September 21, an order issued by Department of Personnel and Training said. She is presently member of the Commission. The appointment is till further orders or till completion of her term as member on January 3, 2017, whichever is earlier, it said. The post of chairman, UPSC, will fall vacant on Tuesday, consequent upon demitting of office by Mr Gupta on attaining 65 years of age of superannuation, the order said. Incidentally, the Centre had in November 2014 appointed Mr Gupta as the UPSC chief, which was a break from the tradition of appointing the chief from the serving members of the commission. In 2014, the Centre had for the first time appointed somebody (Mr Gupta) from outside as the UPSC chairman. At that time, Ms Sirohi was the senior most member and could have been the chairman. Ms Sirohi is a retired IAS officer of the Madhya Pradesh cadre. Before joining the Commission as a member in January 2012, she was Secretary, Department of Personnel and Training. The UPSC conducts the prestigious civil services examination to select officers for the Indian Administrative Service (IAS), Indian Foreign Service (IFS) and Indian Police Service (IPS) among others. The Commission is headed by a chairman and can have a maximum of 10 members. Academicians David R Syiemlieh, Professor Hem Chandra Gupta and Pradeep Kumar Joshi, former Delhi Police Commissioner Bhim Sain Bassi, former Railway Board Chairman Vinay Mittal, former IAS officer Chhatar Singh and the then in-charge of Aviation and Research Centre of external snooping agency RAW, Arvind Saxena are other members of the Commission.